Step 3. Click "My Microsoft Account"
Xbox Game Pass is great for voracious gamers, but if you don’t have the time or the money, the service quickly loses its value - and hey, kudos to you for giving it a go. Thankfully, getting rid of Xbox Game Pass is easy, all you need is your login info for your Microsoft account that has Xbox Game Pass and your PC or Mac and you’re good to go. Of course, before we begin it’s worth pointing out that you can’t just cut and run with all of those games you downloaded from the service - once your subscription is over, you won’t be able to play any of the games you downloaded via the Xbox Game Pass service. So, if you’re right in the middle of one of those games, you should quickly finish that up before proceeding. Once upon a time there was an option to cancel your Xbox Game Pass subscription the same way you signed up - through your Xbox One, Xbox One S or Xbox One X - but unfortunately that’s no longer an option. Instead, you’ll have to head over to Microsoft’s website to cancel your account. From there, click the sign in link at the top-right corner of the page, and login using your Microsoft account information (i.e. the email you used to sign up for an Xbox account in the first place). Once you’re signed in, you can click your name in the top-right corner and then click the “My Microsoft Account” link highlighted in blue. At the top of the next page you should see a long navigation bar that has the subheads Account, Your Info, Privacy, Security, Rewards, Payment & Billing, and Services & Subscriptions. Click that last one. The next screen will allow to manage your subscriptions, allowing you to Cancel Xbox Game Pass. 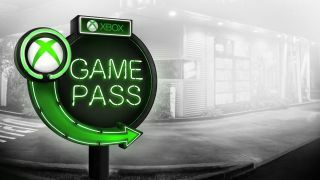 The bit of good news here is that Microsoft will allow you to keep Game Pass for the time you’ve already paid for - if you just bought a year membership, you can keep it until the year runs out. Should you ever decide to rejoin Xbox Game Pass, you can either sign up again on your Xbox console, or come back to this screen to re-enroll. Looking for the best Xbox Live Gold deals? We've got 'em!